Ask for help, either aloud or silently. He can only help if you ask, because he won’t violate your free will. Pour your heart out to Raphael, explaining your feelings. Visualize emerald green healing light surrounding the health concern. Notice and follow any Divine guidance that comes to you in terms of intuitive directions as to which action steps to take. Keep asking for help until healing occurs. Dear God and Archangel Raphael, I need a miracle now. Please heal my body completely and restore me to health. Please clearly guide my path of wellness, support me in all ways, and help me feel whole and healthy now. Dear God and Archangel Raphael, Please help [name of Person] with [describe health concern]. Thank you for giving us (me) all faith and hope, and helping us trust that everything is in Divine and perfect order. Thank you for clearly guiding us (me) if we (I) need to take human action steps for this healing. Archangel Raphael, I ask you to come to me now and remove any energy restrictions or blockages so that I may enjoy health and wellness. Dear God and Archangel Raphael, I want to want a healing. I now fully open my heart and mind to you, and ask that you release any known or unknown fears about being healthy. I fully desire with my free will to be open to receiving your healing miracles. Dear God, please help me relax, trust, and have faith in your miraculous ability to restore my health. Please help me get out of the way so that you and the angels can have full access to my mind, body, and spirit in the name of Divine healing. Amen. Dear Archangel Raphael, thank you for helping my body feel healthy and well in all ways. Thank you for helping me to feel vitality and peace. Dear Archangel Raphael, thank you for guiding me to the best healer for my health needs and Divine life purpose. Thank you for opening the way for me to receive the best health treatment possible. Thank you for supporting me in all ways as I completely heal now. Dear Archangel Raphael, thank you for guiding my healing work on every level. I ask for your clear guidance in selecting modalities to study, support for my studies, and personal help so that I open up to the highest levels of my God-given abilities. Please assist me in fully opening my mind, emotions, and spirit to Divine healing energy; and allow me to be a perfect conduit for healing in all ways. Dear Archangel Raphael, I now open my mind and heart to you and ask that you infuse me with faith, hope, and happiness. Please help me feel safe and secure about my present and future life. Please help me be willing to release old unforgiveness and anger. Please help me clearly see solutions and possibilities . Please help my mind and emotions be healthy in all ways. Thank you. Dear Archangel Raphael, thank you for dissolving the fear related to my past and present experiences with [describe the object of fear]. I ask that you help me feel peaceful and safe in these circumstances, with the knowledge that you are always with me. 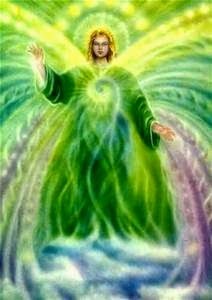 Dear Archangel Raphael, please send your emerald green healing light to my heart. Help me feel whole again. Please restore my hope, faith, and trust so that l can move forward in my life. Please reassure me that everyone involved in this situation is watched over by the angels. Thank you. Dear Archangel Raphael, my heart needs your healing help, please. Help me let go of fears and hurt feelings; adjust to my new life without my partner; and release sadness, loneliness, unforgiveness, and anger. I ask that you surround me completely with your healing green light to clear and shield me. Thank you. Dear Archangel Raphael, I need a strong, comforting hug from you now. Please reassure me that this experience is ultimately for the best, and that something even better is on the horizon for me. Thank you for healing my heart and mind of any ego involvement so that I can detach from drama and fear-based ideas. Help me trust in God’s perfect plan for me and my loved ones. Thank you. Dear Archangel Raphael, thank you for bathing my heart and mind in your purifying emerald green light, washing away all lower energies, toxins, and hard feelings. Thank you f or lifting my mind so I can gain a bigger perspective on everything and not take others’ actions personally. Please guide my actions and thoughts so that they reflect my true spiritual nature of Divine love. Thank you. Dear Archangel Raphael, please wrap your arms and wings around me and give me your strong reassurance that my loved ones and l are safe. Help me trust my inner feelings and take action accordingly. Help me detach from other people’s opinions and clearly hear my inner voice of truth. Dear God and Archangel Raphael, thank you for reigniting my passion for life. Thank you for helping me enjoy each moment and face any challenges with grace and excitement. Please guide me to be strong, to speak my truth, and to stand up for myself when necessary. Thank you for giving me the energy and perseverance to meet my responsibilities and still stay true to myself. Dear God and Archangel Raphael, l am willing to forgive [persons name] and myself for this situation, in exchange for inner peace. L am willing to take responsibility for the role that I played in this situation, and I ask for help in truly learning the life lessons involved in this challenge. L am no longer willing to carry the burden or toxins of anger in my mind and heart. I now fully and freely give these judgments, thoughts, and feelings to you for purification, detoxification, cleansing, and transmutation. Dear God and Archangel Raphael, please watch over my children and ensure their health and safety. Please guide me to be the best parent possible and provide for all of their needs. Archangels Gabriel and Raphael, I call upon you not to usher in the soul of my beloved unborn child and help my womb be a wonderful temple where my baby can grow healthy and strong. Please guide me clearly as to actions that I and the father of the baby can take to ensure a successful conception and healthy, full-term pregnancy. Dear God, Archangel Gabriel, and Archangel Raphael, thank you for overseeing every aspect of my pregnancy, ensuring my child’s and my own safety and health. Please protect us fully and guide me and my physician clearly about which steps to take to enhance our health and well-being. Thank you for helping me honor my own body, as well as my child’s growing body, with healthful foods and beverages. Thank you for ensuring that l am immersed in and surrounded by loving, gentle, and supportive people and situations. Thank you for helping my pregnancy be completely healthy and full-term, with a safe delivery of my baby. Dear God, Archangel Gabriel, and Archangel Raphael, I call upon you now. I ask that you guide me through the adoption process. Please guide me to the best agency and resources, and bring our child to us easily and peacefully. Help me remain strong, positive, and patient through this process. Dear God, Archangel Gabriel, Archangel Raphael, and Mother Mary, thank you for watching over me and my baby during my pregnancy. Please guide my heart through these strong emotions and help me cope and, where needed, forgive. Thank you for guiding me to an honest and caring adoption agency, and helping my child become successfully adopted by loving and caring parents. If it is in my child’s best interests, please help me continue to be in my child’s life. Dear Archangel Raphael, please help my child [name] heal right away. I ask that you please surround my child with your healing green energy and help my child be completely healthy and well, now. 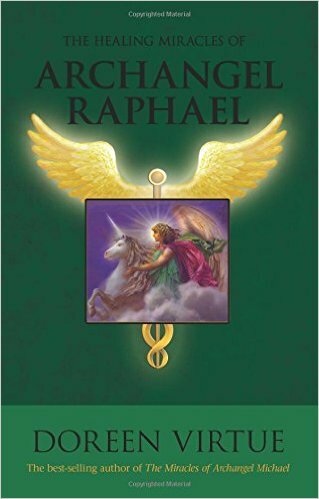 Dear Archangel Raphael, please reassure and calm me about my child’s health. Please help me to accurately hear your guidance and be able to think clearly, and act swiftly, to help my child feel well fast. Thank you. Archangels Michael and Raphael, please come to me now. Please clear this room of all low energy and help me be happy and calm. Thank you for protecting me and everyone in this home. Dear Archangel Raphael, thank you for calming my mind, emotions, and body so that I am confident and relaxed. Dear Archangel Zadkiel, thank you for helping me easily, accurately, and clearly remember all of my study materials and class teachings. Dear Archangel Uriel, thank you for helping me think clearly, comprehend the test questions’ meanings, and be able to focus and concentrate with ease. Thank you, Archangels, for helping me complete this exam quickly and accurately, with a top grade. Dear Archangel Raphael, I am ready to release [name the addiction]. Please cut my cords of fear connected to this addiction and fill my body with your loving and soothing emerald green light. Thank you for shifting my cravings so that I only desire healthful foods and beverages. Thank you for completely disconnecting me from unhealthful cravings. My heart, mind, and body are now totally filled with love. Dear Archangel Raphael, thank you for igniting my passion to exercise healthfully and consistently. Thank you for guiding me to develop an exercise program that suits my interests, schedule, abilities, and finances. Thank you for helping me truly enjoy exercising my body. Dear Archangel Raphael, thank you for watching over, healing, and protecting my pets. Please help [name of pet(s)] be completely healthy and happy. Please guide my actions so that l can support my pets’ health. Dear Archangel Raphael, please accompany me and my loved ones on this journey. Please ensure everyone’s safety, comfort, and health throughout the entire trip. I ask that you connect me with loving and helpful people during the journey and also help me bring blessings to fellow travelers. Please keep all aspects of the journey smooth, harmonious, and peaceful. Please help me with [name specific details with which you’d like assistance]. Thank you for overseeing my travels in all ways. Dear Archangel Raphael, thank you for watching over my journey and keeping me and everyone involved safe, protected, and healthy. Please ensure my high energy, positive outlook, and patience during this trip. I ask that you guide me clearly as to how best to take excellent care of my body. Thank you for protecting my health and keeping me vital and well in all ways. Dear Archangel Raphael, please send me clear signs mar I can easily notice and understand to let me know of your presence, and to give me guidance as to the next step to take. Thank you. Dear Archangel Raphael, I would like to see and hear you with my physical senses in order to be healed and guided by you, and to feel and receive your healing energy powerfully and profoundly. There are 61 additional prayers in the last chapter of the book that are very focused on a specific ailment or concern.